Ultimate Sports Insider: Should we be more concerned about the golden throne or the ivory tower? Should we be more concerned about the golden throne or the ivory tower? The recent installation of a toilet and shower in Stanford Football Coach Jim Harbaugh's office has created the most talked about bathroom in the history of college sports. Harbaugh's request for the facilities in order to "cut down on drag" comes at a time when the rest of the Stanford athletic department is facing millions of dollars in financial losses and 20 staff members lost their jobs. Likewise, Stanford's institutional endowment has been pummeled with the economic downturn and the institution is also tightening its belt. Every crisis creates an opportunity and the current economic state has provided opportunity for the critics of college sports to take aim at some of the excesses in college athletics. The overwhelming refrain from the critics and the focus of countless articles is "college sports loses money" with only about 20 athletic programs in the country breaking even or turning a profit. "Universities across the country are on the horns of a dilemma,” said Dr. William "Brit” Kirwan, co-chairman of the Knight Commission and chancellor of the University of Maryland system. "We’ve built this enterprise with an insatiable appetite but we no longer have the revenue to feed it. We’re going to have to come to grips with that fact and move to a more rational model.” (Click here for the full article). The context of Kirwan's comments is athletic departments. But read the above paragraph again - his comments could just as easily apply to higher education generally. What Kirwan wittingly or unwittingly reveals is that it is more than just athletics that has an insatiable appetite. Tony Weaver's UltimateSportsInsider.com post - Pursuit of Prestige - frames the issue nicely. Colleges and universities are competing for students, faculty and staff, government dollars, donations and other resources to climb over each other to the top of the rankings in U.S. News and World Report, The Princeton Review, and a host of other similar publications. And how are they climbing the ladder? The same way as college athletics - "with an insatiable appetite that lacks the revenue to feed it." The institutions that have fared best in the current crisis are those who are largely dependent on tuition and lived within their tuition-based means for years while others were growing along with the educational funding bubble. Today, state institutions have been hammered due to falling tax revenues that were once reasonably strong. Likewise, institutions with large endowments and consistent double digit growth became quickly accustomed to the comfort of an ever expanding budget. All of those gains are gone and with tuition costs at some institutions now exceeding $50,000 annually, tuition increases can't close the revenue gap. fun and building campus community. mission creep and a lack of mission clarity. Jim Harbaugh's golden throne is the latest issue du jour that is capturing the attention of athletic critics, but of equal or greater concern should be the structural soundness of the ivory tower as a whole which is facing significant challenges. 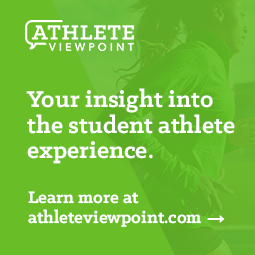 Athletics didn't create the problems that are facing higher education. And shrinking an athletic enterprise that is mirroring the insatiable appetite of prestige seeking institutions won't solve the problem either. The point is exactly right, that universities, like athletic departments, are investing aggressively, as they can, to position themselves for greater prestige. The question is, perhaps, after we make the common sense reforms, like reducing travel expenses, what "more rational model" is realistic? Consider a market, like college football, where 20 or so programs continue to have resources available to invest extravagantly. Through what device do we regulate that such that those programs without such advantages do not continue to fall further behind or push take on additional debt to keep pace? The program at number 50 in the market -- say, Ole Miss -- would take a third mortgage on the Grove and have everyone on campus sell plasma weekly, if that is what it took to compete favorably in the SEC. There is no realistic other model to control spending. If we try to limit revenues, say through television, the competition on the spending side will continue as before. Arms races are never rational and even if everyone agrees to cooperate to reduce the competition, it is impossible to police everyone. Can the NCAA or even Congress regulate the size of a football building at Oklahoma State, if OSU decides to move in that direction? The same is true at institutions generally. How can we prevent those interested in -- and able to -- invest heavily in recruiting more accomplished students and star faculty, as well as building the student amenities and other infrastructure needed to do so? How do you regulate such aspirations and strategies in a decentralized system -- and would we even want to? So, programs that can afford it are going to continue to build $50,000 restrooms, just as universities that can afford it are going to discount tuition or build a $500 per square foot residential college. Athletics, like higher education, has a small number of haves and lots of others who struggle to keep pace to remain in the game. The haves set the pace and it is unrealistic to expect those striving -- and everyone is striving -- to do what they can to match them. Wow. This article really gets one to think about the current economic crisis that schools are faced with now. While it is absolutely ludicrous for the coach to have had his own toilet and shower, the whole system is at fault. It seems as though it isn't going to end anytime soon. Still, I think big-time athletics is still the 800lb. gorilla when it comes to extravagance and wastefulness. I'll present to you the example of the University of Arkansas at Fayetteville. UA has almost 15,000 undergrads and more than 19,000 students total. According to a Chronicle of Higher Education story (http://chronicle.com/article/Rise-of-the-SEC/48197/)on the SEC this week, UA spends $62.7 million on athletics. Athletic spending went up 42% from 2004-5 to 2007-8. On the other hand, UA spends $108.4 million on instructional expenses. Instructional expenses went up 14% between 2003-4 and 2006-7. Yes, athletic spending is more than half of total instructional spending at a flagship university. The disparity will probably only grow as the recession will hurt instructional spending as the SEC's new mega TV deal leads to an increase in athletic spending. It may only be a matter of time when athletic spending is more than instructional spending. Other SEC schools aren't far off from being in the same position. I would be seriously troubled if (when?) flagship universities spend more money playing games than they do teaching. Does that notion bother anyone else? It would be one thing if athletics was bringing in so much profit that the athletics director gives $1,000 handshakes to the academic deans, but that is not the case. What kind of prestige does the UA get from athletics? They did win the basketball championship many years ago, but they have been fairly anonymous since then. Their football and basketball has been ok for the most part, but they rarely grab national headlines even with the spotlight of the SEC shining brightly on them. Aside from Darren McFadden, the biggest headlines UA athletics has had lately was Nolan Richardson's claims of UA being racist and the allegations of Houston Nutt making illegal phone calls. Even if they were winning, would they really get more prestige? America would see their fans wearing hog snouts while celebrating feverishly. That will not change the stereotypes of Arkansas, it will only further cement them. The Chronicle of Higher Education had a podcast a couple years back at the Sugar Bowl where they asked LSU athletic donors why they supported LSU athletics. One woman (a teacher if I recall correctly) said something to the effect that there wasn't much to be proud of in Louisiana, but LSU's success gave them something to be proud of. Maybe something is better than nothing, but this is a defeatist attitude in my opinion. Who knows what would happen if Louisianians rallied around education (real education) with the same fervor that they support LSU athletics. I think Michael is right. There is a lot of "genital" envy in higher education. Sure, the SEC is far superior to the Ivy League (sorry Michael), but are they really equal where it really matters? Aside from Vanderbilt, the answer is most certainly no. Big-time athletics is a cheap and easy way to gain publicity relative to the cost of seriously competing against academic powerhouses in the academic arena, but I don't know if it really builds prestige. Building a great university is not as easy or fun as building a great fantasy football team, but it is a necessary task. It's a shame that it is so difficult to determine which universities are really great at teaching, but maybe it isn't so difficult after all. Just go to a freshman core course classroom and see what percentage of students are engaged versus the ones who are absent, sleeping, or otherwise in la-la land. My guess is that it would be higher at places like UA than places like Princeton and Vanderbilt. See, that wasn't too hard. Let's see an arms race addressing Comp & Lit I and calculus! A couple of observations: 1) the University of Arkansas is one of the schools that runs a profitable athletic program and demonstrated so with a $1 million donation to the University's general fund (see earlier posting on this blog). 2) Because of this, the comparison to instructional funding is a bit misleading. Arkansas athletics may spend a lot, but not at the expense of academics in that it is fully covering its costs and even providing resources to the educational enterprise. It may not be a huge return on investment if measuring only in dollars, but it is a return. If measuring dollars returned PLUS the good will for the institution within the state and with state taxpayers, alumni support (they have an $800,000,000 endowment) and other returns, the value moves much much higher and starts to look like a wise investment choice. If athletics at Arkansas closed up shop tomorrow, those dollars would not flow back to the academic side of the house, they would disappear, as would the $1 million that was provided this past year. 3) The comparison to instructional funding is also a bit misleading in another way. "Instruction" is not the only educational activity taking place - teaching, research and service are the three areas by which faculty are judged for tenure. Comparing all three of these expenditures to athletic spending would be a more accurate comparison of athletic spending to educational spending. Yep, according to their press release, UA is self-sufficient without student fees, taxes, and institutional support. That is pretty impressive given that most others, including SEC schools, can’t say the same. Florida, for example, has pretty heavy student fees yet they are more than happy to publish reports about the athletics department giving money to the university while omitting that part. HOWEVER, just because the UA is self-sufficient does not mean athletics at UA is a break even or profit generating enterprise. Expenses like stadium and athletic facility construction, renovation, and upkeep are not going to be on the athletic department budget sheet (most of it at least). Some direct security costs won’t be on there. There are a lot of little things like that, but it can be big amounts of money. Granted, some sources of revenue may not be on the budget as well (some merchandising revenue for example). Still, facilities are a expense. I know the NCAA worked on a new more standardized budget reporting system, but I don’t think we have any reliable sense of the true cost of athletics yet. Professor Goff (http://thesportseconomist.com/archive/2009_05_01__arch_file.htm) seems to think that there is no way big-time athletics, with revenue sources similar to pro sports but without the massive player salary expense, loses money. It’s just that, according to him, revenues are hidden in other areas perhaps to avoid calls for paying players. Goff makes a good point, the CBO pretty much agreed with him in their report earlier this year. The bottom line is that we don’t know the real financial status of UA or any school. College athletics supporters often claim indirect benefits of sports like increased enrollment due to publicity and the ability to follow the team and fundraising gains. The research, to put it lightly, has found these claims to be questionable. I’m not sure if there is any strong evidence that sports spurs on academic donations at all. Conversely, there are some indirect costs of sports that rarely get talked about. Coates and Depken found that sales tax revenues dropped in 3 of 4 Texas Big 12 cities when they hosted a home rivalry game. The land value of facilities can be immense at many schools to the point that one could question the fiscal sense of having a football stadium on a piece of land versus a mission serving facility. There are many points that could be made one way or the other here. You are definitely right in saying that instruction is just a part of the university’s mission, but it is a very important part. Many would say it is the most important part. I don’t know how the CHE is defining instructional expenses. It probably does not include facilities/infrastructure (classrooms) either, but I think it goes without saying that a university must have instructional infrastructure for it to be a university. This would not be the case with athletics. The US News rankings, among others, rate the quality of undergraduate education. This is primarily (or solely) instructional. The fact that a flagship public school has athletic spending more than half of instructional spending with athletics closing in at a fast rate is concerning even in the seemingly rare cases where athletics makes money and contributes to academics. You have to wonder which horse (athletics or academics) is pulling the carriage (the university). The marriage between academics/instruction and athletics does not have a stellar record at schools with big-time athletics. It’s to the point that academics is suffering from battered spouse syndrome in many cases! A few big conference teams and many no-name DI/II/III schools have a great harmony between athletics and academics. I think one of them just built their football coach a bathroom!